Truth be told, DAP’s Malaysian Malaysia is just a sham as the party fields Chinese candidates in almost all the constituencies it is contesting, shedding its so-called multi-racial image. Even issues being highlighted concern Chinese issues, devoid of Malays or Indians related issues that could at least reflect its so-called multi-racialism struggle and membership. 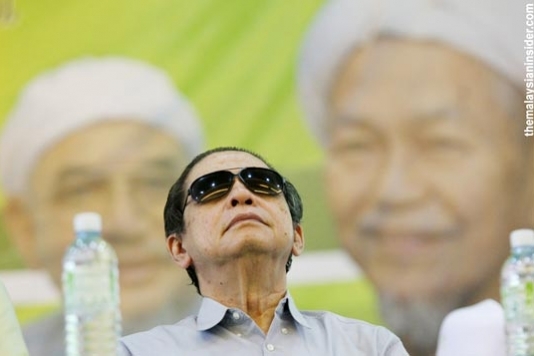 The general election has open up DAP’s real intention of participation – not for the people but for only one race – and that support for Anwar Ibrahim as Prime Minister is only a facial make-up. DAP is not interested in struggling for the loud cry of fair and just society but instead for its narrow politics of race and family – the family of Lim Kit Siang and not to forget Karpal Singh. The rest in the ship are mere passengers who can be thrown out anytime and anywhere – the Lim father and son have no qualms about doing that – just like most Hong Kong movies on triad society where ‘killing’, in this sense political killing, is everyday business. Aspan Alias, not a leader in Umno Kuala Pilah, not even a committee member in the division but has his name bandied at national level among Malaysians, joined DAP after being frustrated with Umno. 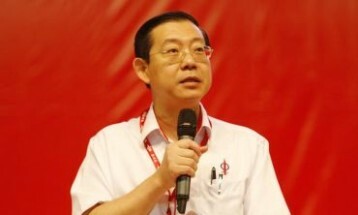 Claiming not being ‘treated well’, nobody knows exactly what he meant because he was not even a leader at division or branch level, joined DAP in January 2012 with the hope the chauvinistic party would raise his level in the ‘political community’. But he is now disappointed – of course he would tell anyone he is disappointed for fear of shame and being ridiculed – because he is not chosen as a candidate, not even at state level. Aspan is of course not alone as there are other Malays and Indians in DAP who are now disappointed but do not show it openly. With such background, voters who do not like Barisan Nasional (BN) for whatever reasons should not be too quick to vote for DAP or PKR or PAS because DAP is the partner of the two parties, whose leaders could not care less of DAP’s chauvinistic principles and philosophy. Leaders of the two parties are only interested in defeating the BN and walk over to Putrajaya, devoid of the thought that the future position of the Malays they lead will be reduce to just another race without any privileges and benefits after sharing the country with other races. Malay voters must bear in mind that this coming general election is not just about Malay dominance but deeper than that is Malay position as the Master or Tuan of the country.